They stalk in the shadows, moving gracefully and unseen among their prey. They are the blood-drinking fiends of whispered legends - Kindred, Cainites, the Damned. Above all, they are vampires. Their eternal struggle, waged since the nights of Jericho and Babylon, plays itself out among the skyscrapers and nightclubs of the modern world. But the vampires' grand Masquerade is imperiled, and the night of Gehenna draws ever closer. 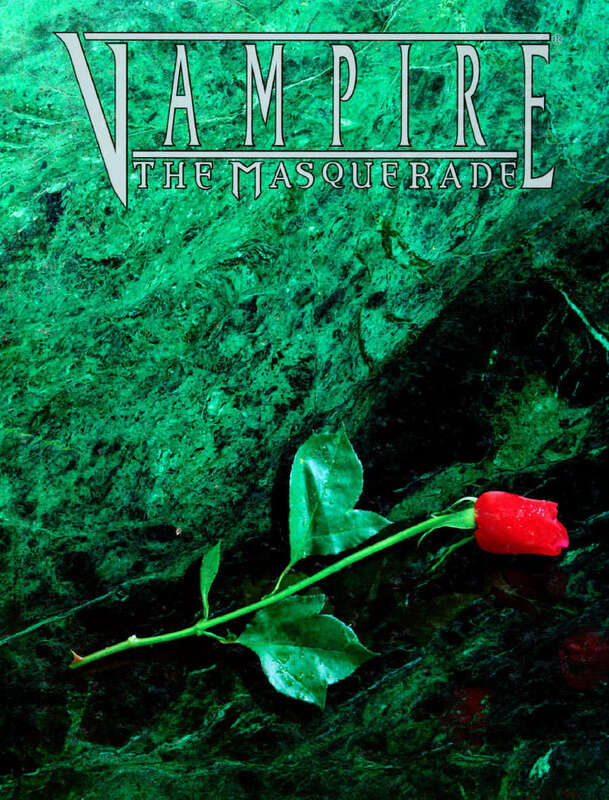 The new edition of Vampire: The Masquerade is an updated, revised version of the popular classic. In this mammoth volume can be found all 13 clans, all major Disciplines, and a host of brand-new information on both the Kindred and the. . . things. . . that hunt them. This book compiles everything that a Vampire player and Storyteller needs to know about the Kindred and the World of Darkness™ for the new millennium. Plus, the new edition provides all-new information on the changes that afflict the clans, and on the beginning of the end of the Camarilla. Finally, the first of the Storyteller rulebooks is the best again. This book seriously needs a print-on-demand version, all other revised core books do, and this is the most popular in the series.